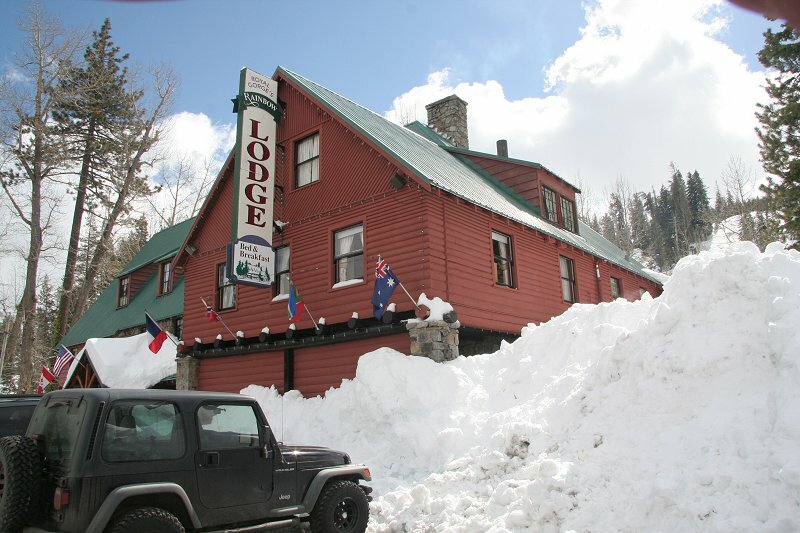 It's getting to be our custom to drive up to Rainbow Lodge each year as soon after a series of storms as we dare. We were a few days late this year, so much of the snow from two weeks of storms had melted away. Still, there was plenty enough to make beautiful views along the drive up Hwy 20 and Rt. 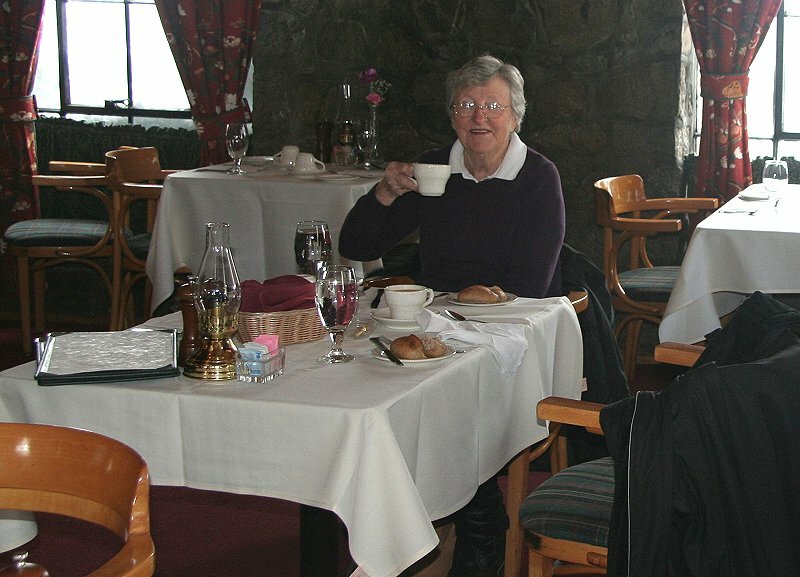 80, and around the lodge when we arrived. Snow left from plowing the parking area was stacked as high as the upper windows. 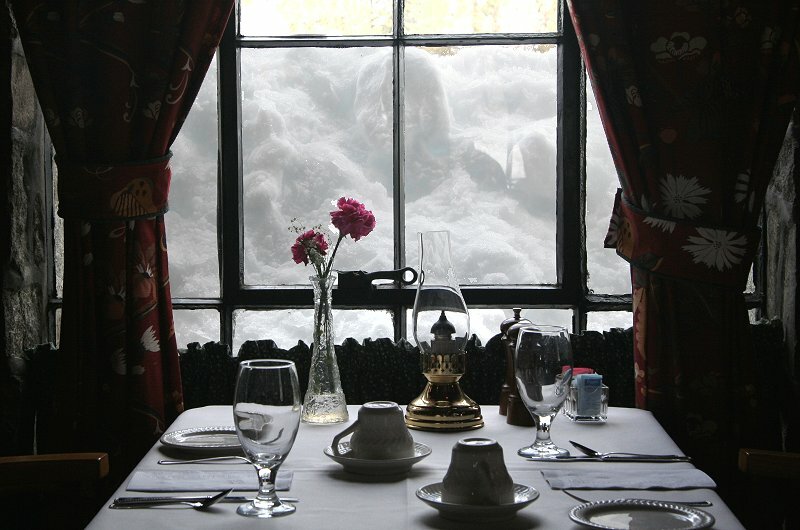 Inside the lodge restaurant, snow blocked the view out the windows. 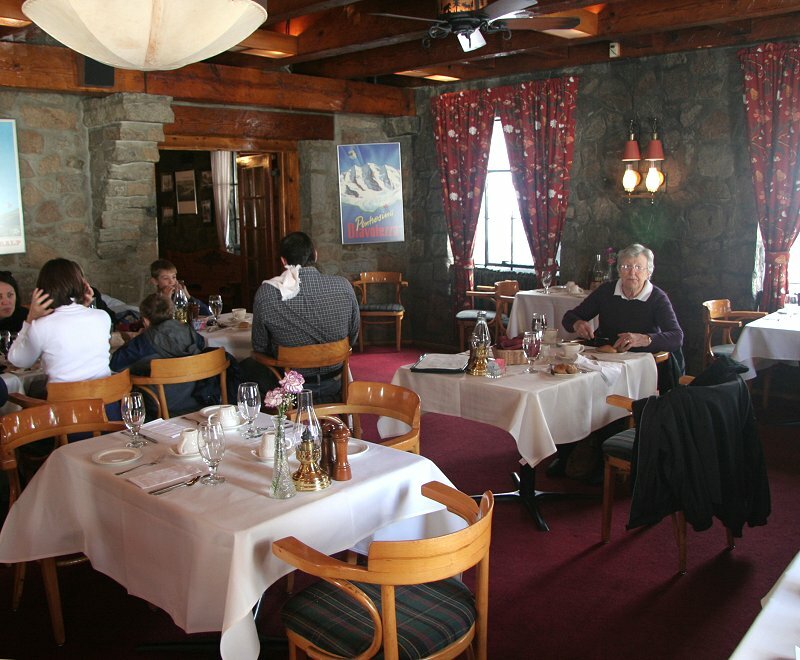 We chose to sit away from the window (part of which is at the right in this picture). Mary is getting used to me snapping pictures of her. We both had French toast and sausages, and lots of coffee. 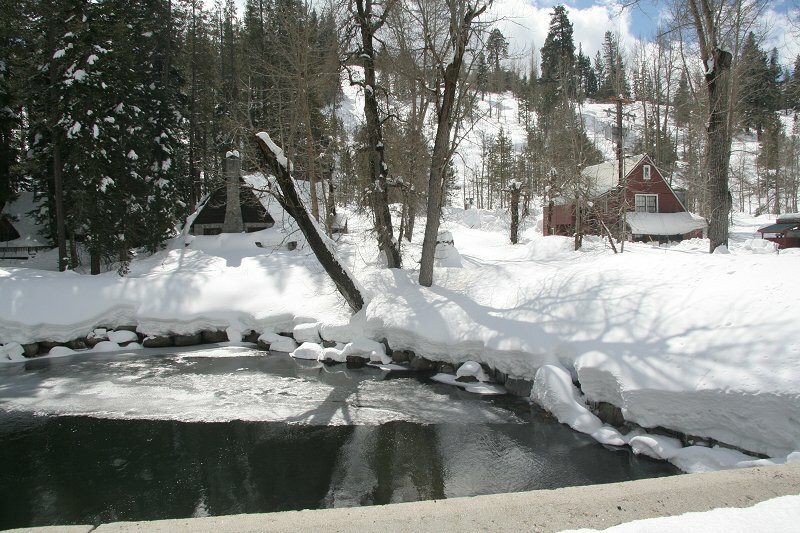 After brunch we stood on the bridge over the South Yuba River to see these snow covered cabins. 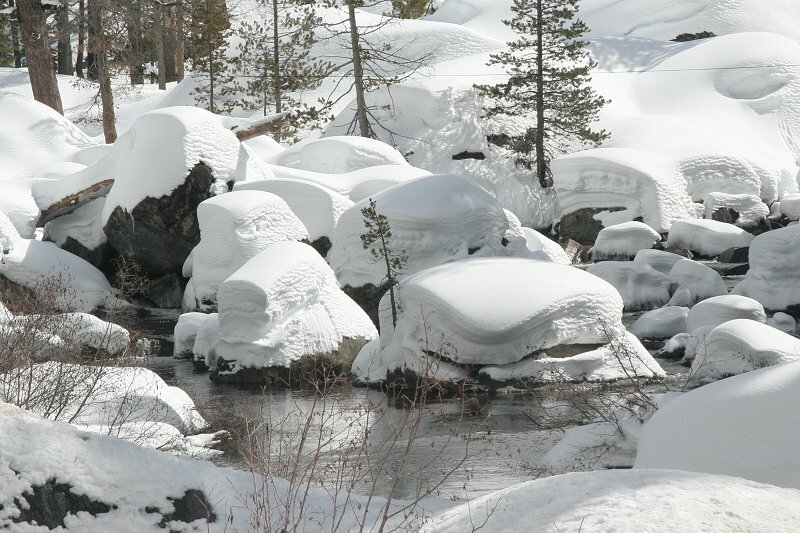 These snow covered rocks were farther up the river and looked like nature's super-sized hamburgers.